A Clinician’s Guide to Dream Therapy demystifies the process of working with dreams by providing both a grounding in the current science of dreaming as well as a simple, practical approach to clinical dream work. In addition to a survey of the current science and neuroscience of dreaming, this book includes clinical examples of specific techniques with detailed transcripts and follow-up commentary. Chapters cover how to work with PTSD nightmares and how to use experiential dreamwork techniques drawn from current neuroscience to engender lasting change. Readers will be able to discuss their clients’ dream material with confidence, armed with an approach that helps them collaboratively tap into the inherent power for change found in every dream. Backed by research, common factors analysis and neuroscience, the approaches described in this book provide a clear map for clinicians and others interested in unlocking the healing power inherent in dreams. Leslie Ellis, PhD, RCC, is an author, teacher and psychotherapist with a lifelong interest in dreams. She is a leading expert in the use of somatic approaches in psychotherapy, and specializes in the use focusing for treating PTSD and complex trauma. 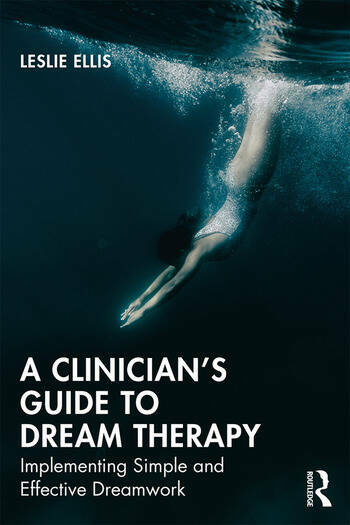 "A Clinician’s Guide to Dream Therapy is the perfect resource for clinicians wishing to incorporate dreamwork into their psychotherapy practice. Leslie Ellis offers a scholarly yet entertaining summary of the major contemporary approaches to dreams and outlines the key effective elements across these approaches. She illustrates all this with engrossing clinical anecdotes that give readers a solid idea of how to begin this work." Deirdre Barrett; author, The Committee of Sleep; faculty, Harvard University. "Leslie Ellis is passionate about dream work. In this inspiring book, she takes us on her journey to find contemporary perspectives from research, neuroscience and a range of clinical perspectives. She vividly describes experiential, creative approaches for clinical practice."